After purchase, you will receive an email with your activation code. “Instant Analysis”: Any unannotated game is analyzed almost without delay immediately on loading (optional). Blunders and tactical motifs are recognized. An evaluation profile is created. Improved search mask with tactical motifs (skewer, fork, discovered attack, etc.) and examples for maneuvers and material distribution. 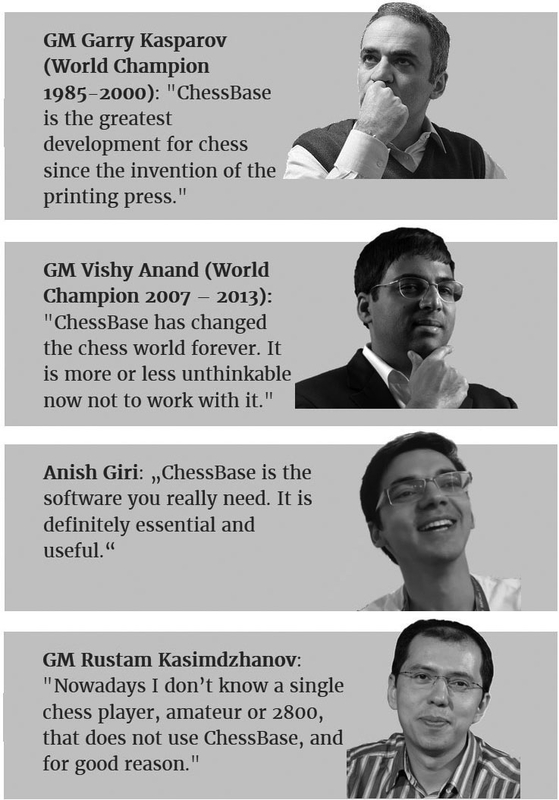 "We cannot imagine chess without it"